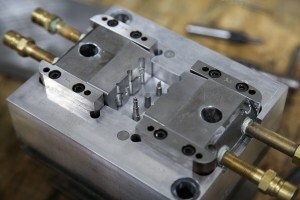 At Allenton Tool & Machine, we know that a broken die or mold delays your production time, affecting your bottom line. Be it due to wear or damage to the mold core, cavity, or gate areas or by parting lines that cause flashing, we offer you full-service, quality and quick turn-around mold and die repair. For mold & dies, we identify the cause of the break, repair the part and provide a thorough inspection to ensure your part is in proper working order. For dies, we can remake any worn or broken inserts to meet the integrity of the original dies. Our mold refurbishing includes welding fixes, regrinding and re-machining to ensure the surface finishes and dimensions of your mold are restored. We can also replace the steel parts of a mold as needed to achieve greater mold strength and slow future wearing. Give Us a Call Today at 262-679-8665 or Contact Us Here to find out more about our mold tool & die repair services.